Fancy the idea of owning a pool that's designed in a naturalistic style and shape? More like one, that accentuates the beauty of your nature-oriented landscaping. If yes, freeform pools are for you! Today, many homeowners choose freeform pools because of their unique shape and style as well as their ability too easily accommodate even the smallest of spaces. For the most part, freeform pools designed is to look like a natural pond, lake or oasis. In addition, the best part is that this pool design provides homeowners with limitless opportunities to customize — waterfalls, rock features, stone decking; you name it! 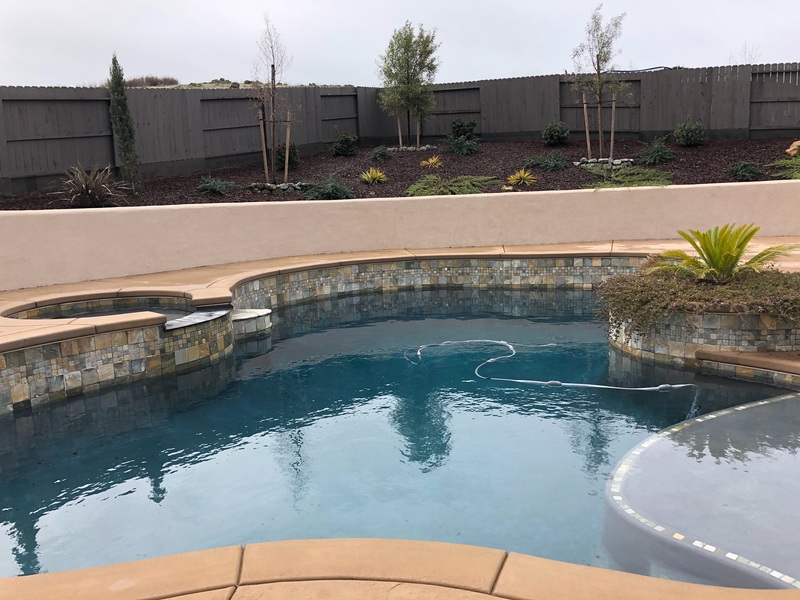 When you engage the services of a professional swimming pool builder in Sacramento, you will get to have a perfect spot where you and your family can have a swell time and relax all day every day. We at Sac Pool Pros know exactly how to use the right material (either gunite or shotcrete) to design your freeform swimming pool. With our unmatched expertise and attention to detail, we create a wide variety of looks that are sure to fit the surrounding landscape and transform it into a fascinating nature resort. Our design staff can enhance your freeform pool with an array of textures, finishes, and beautiful accents, all of which work to provide a more calm and natural look. At Sac Pool Pros, we always care about the satisfaction of our clients, and that is precisely why we never fail to carry you along in the course of the project. We will work closely with you to ensure that the pool is constructed and designed to fit your taste and exceed your expectations. Moreover, to sum it up, you can rest easy knowing that we only use the highest quality materials to build our freeform pools — this is exactly what sets us apart from the competition. Do not hesitate to contact Sac Pool Pros today. We will be more than happy to work with you towards creating the freeform pool of your dreams!